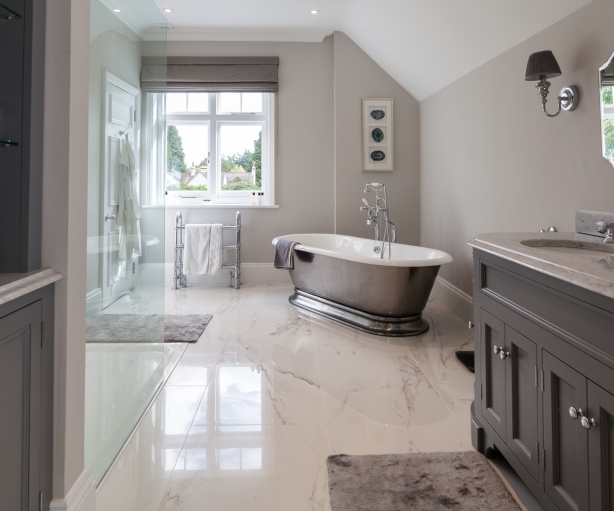 We were originally called into this Edwardian property to renovate one bathroom which led to us renovating and improving a further 3 more bathrooms. 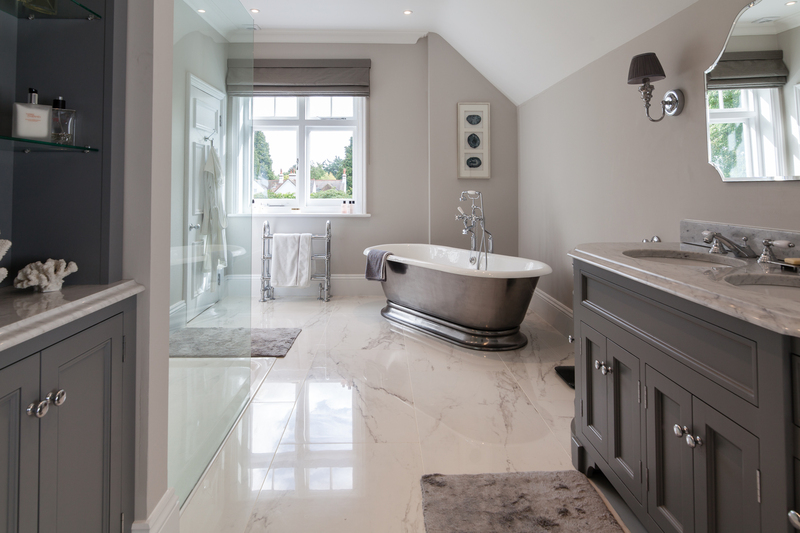 We installed underfloor heating, new plumbing and electrics throughout each bathroom. 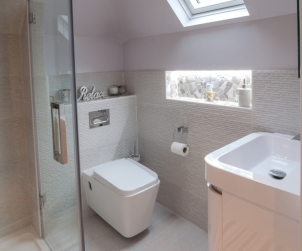 The wall between two of the bathrooms from the master bedroom was found to be rotten and when we removed this the client preferred the space so we opened up what was previously a separate bathroom and wet room – creating a large walk in shower, free standing period bath and feature furniture. We kept the dual access from the ‘his and hers’ dressing rooms making the space very unique. 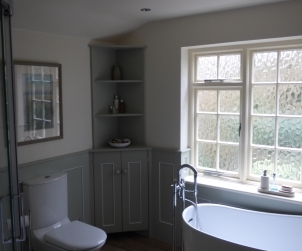 We handmade new bathroom furniture to tie in with existing features and even sourced granite to match an existing vanity unit. 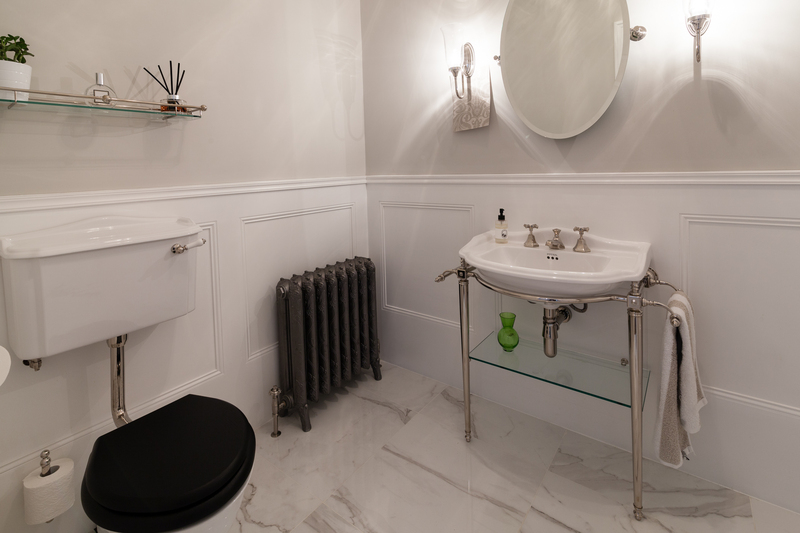 Each bathroom was unique incorporating a balanced mix of period and modern features with tiled flooring and handmade Edwardian skirting boards and coving.